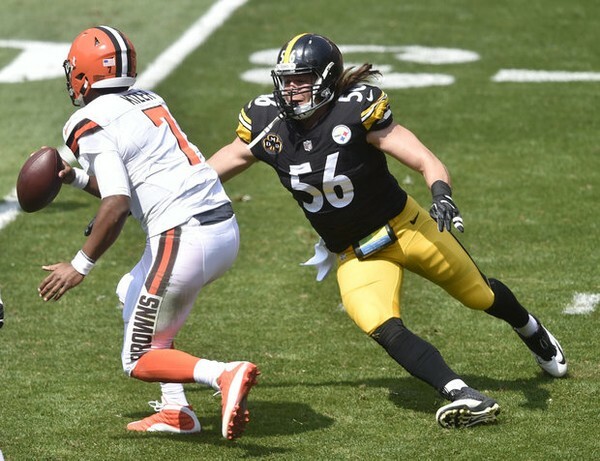 What Should Steelers Do with Restricted Free Agent Anthony Chickillo? This entry was posted in Steelers 2018 Free Agent Focus, Steelers 2018 Off Season and tagged 2015 NFL Draft, Anthony Chickillo, Arthur Moats, Bud Dupree, James Harrison, Joey Porter, Lawrence Timmons, Ryan Shazier, Sean Spence, Steelers free agents, Steelers linebackers, T.J. Watt, Terence Garvin, Tyler Matakevich, Vince Williams. Bookmark the permalink.